Tours on the cheap! be independent and create your own programme or custom tour in Chiang Mai! 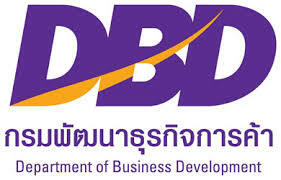 We offer car and driver and minibus and driver hire services for Chiang Mai and the north of Thailand. Hire a Minibus or car for a half/full day or a multi day trip. 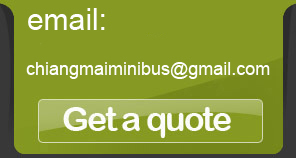 We have a choice of cars or minibuses which accommodate 1-14 passengers! maximize your time and enjoy the convenience and flexibility of chartering your own car or minibus in Chiang Mai. see our vehicles here. Modern saloon/sedan cars with careful driver. Itinerary and route to your own programme. 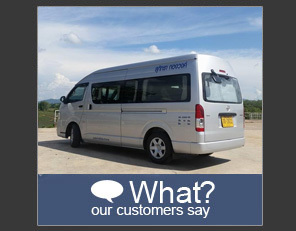 Modern Toyota Commuter minibuses with careful driver. Itinerary and route to your own programme.